What goes in my green lidded rubbish bin? 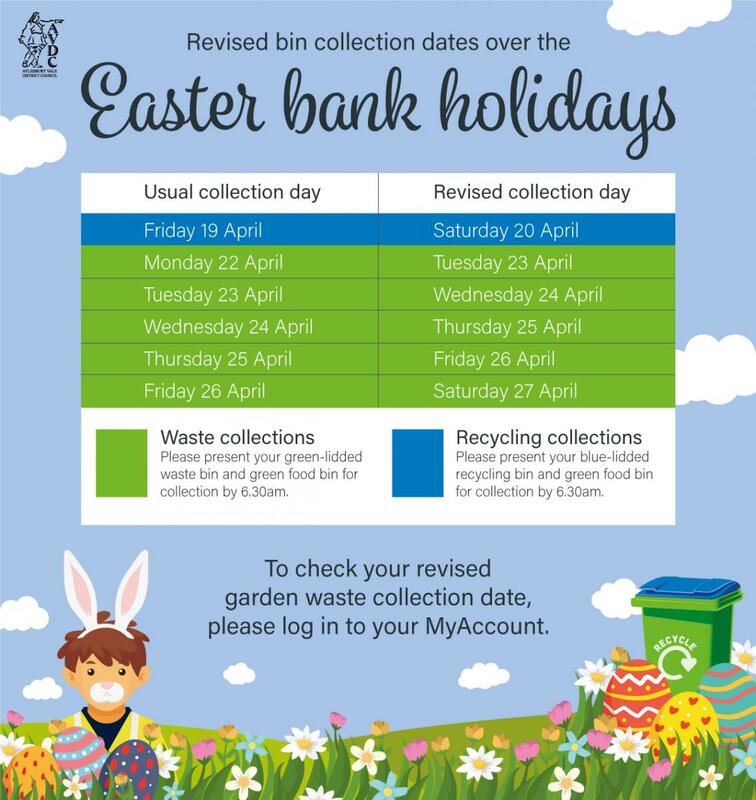 The rubbish collected in your green lidded rubbish bin is sent for disposal at the Greatmoor Energy from Waste Plant (EfW). This means all the waste we collect must be able to be put through an incineration process. EfW is a modern and safe way of treating and disposing of waste left over after recycling, which would otherwise go to landfill. Please do not put food waste into your green lidded rubbish bin, put it in your food caddy. It is not intended to divert waste from recycling. In fact, both EfW and increased recycling will divert waste from unsustainable landfill. 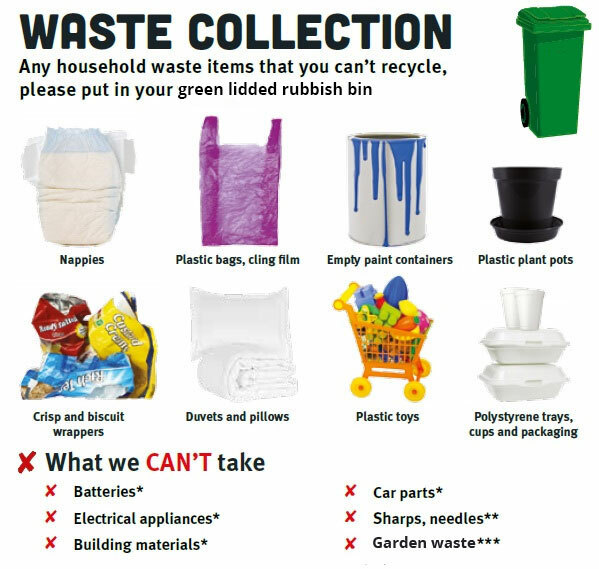 We only collect rubbish that fits in the bin, with the bin lid closed, but we will collect additional recycling if it is left in a cardboard box by the side of the recycling bin. Please take any extra refuse waste to your local recycling centre. ** We have a separate clinical waste collection for these items - please click here to arrange one.